Summons plus , a distance learning correspondence course offers law aspirants a complete one stop solution required to prepare for all major law entrance exams including CLAT,AILET etc. This course is specially designed to help/empower students who wish to prepare for Law entrance exams at home and cannot attend regular classes/sessions at Clat possible centres.This course is valid for 1 year and provide end-to-end solutions to enhance your preparation, We at Clat Possible are committed to provide you exhaustive and user-friendly study materials including mock test, practice books and online support for doubt clarification and guidance. An unbelievable deal which leaves nothing to chance providing you with concept and core building, practice and testing. Includes the entire offerings of TS Summons- The Courseware product and TS Practice Plus (1 year correspondence course). If you really want to see yourself climbing up the ladder of law career , Clat possible should be your ultimate choice. 1 Year correspondence course offering complete and end to end solution. Theory and Concept Building with 10 fundamental books on English, Legal, GK, Maths and Logic. Over 10,000 Pages Material for theory, Mock and Practice Materials covering all the subjects for law entrance exams. The Most Comprehensive Correspondence course in India with exhaustive and user-friendly study materials including Additional booklet on General Knowledge and Vocabulary. The Most efficient Correspondence course in India with solved examples and practice questions to churn out best results. Combines the offerings of TS Summons and TS Practice Plus. VERBAL ABILITY : This section tests the students ability to understand the passage and answer questions on the basis of what is stated and implied in the passage. To be master in reading comprehension one needs to practise more and more. This book contains many questions to practise and to gain the confidence. Verbal reasoning is understanding and reasoning using concepts framed in words. It aims at evaluating ability to think constructively, rather than at simple fluency or vocabulary recognition. Variety of questions can be framed in this section and they are described beautifully in this book. GENERAL KNOWLEDGE : The General Knowledge (GK) section has the highest weightage in the CLAT, along with Legal Reasoning. Our book contains the largest collection of topics related to GK to help students excel in various law entrance exams.You will get this book in ebook form at your myzone. TORTS: A tort, in common law jurisdictions, is a civil wrong that unfairly causes someone else to suffer loss or harm resulting in legal liability for the person who commits the tortious act. The primary aims of tort law are to provide relief to injured parties for harms caused by others, and to impose liability on parties responsible for the harm. Book contains all the important contracts and case studies related to torts along with previous year question papers. 500 Topic Tests in all subjects. This course is intended for anyone interested to study at Top Law School in India and wish to appear for CLAT 2019. This course is suitable for students who do not have time to attend classes on regular basis. Summons Plus is a boon for Students who are more comfortable with online mode of study. Students who will join class 12th in 2018 or have passed class 12th(Gap year students). Its best suited correspondence course for beginners. How many online tests are there in this course? There are Total 40 Tests. In which 28 would be on CLAT pattern, 6 AILET based, 3 SET,1 IP,1 LSAT and 1 BLAT. There are Total 40 Tests. In which 28 would be on CLAT pattern, 7 AILET based, 2 SET,1 IP,1 mhcet and 1 BLAT. Will you be giving user id and password for taking online mock tests? I am going to class 11th this year can I apply for the course. Will the tests be taken by online mode only? How many students have qualified CLAT, AILET or SET held in 2017 by way of studying through correspondence course of CP? Around 40 % correspondence student have qualified the Clat & AILET exam through this course. You can apply for this course but validity of this course will be only till upcoming clat EXAM. Is material being provided in this course ? 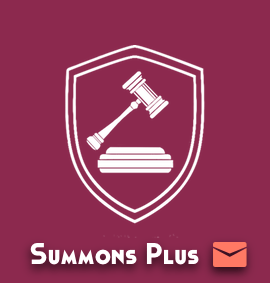 what is the difference between summons and summons plus? what do i get extra in summons plus? what do i pay Rs5000 extra for in summons plus? IS GK monthly compendium is provided in this course? There is a difference of 5 practice work books in summons plus from summons. Hi, I have joined correspondence course Summons+ everything is fine but I am facing a lots of problems on the site to see CLAT mock Code CP-18-C1 i.e in not visible on my ID 171010054 it is already uploaded on the site on 20th August. I joined Summons but I want to upgrade it to Summons plus, what is the procedure? pay the difference amount to upgrade. I just want have this course for clat 2019 . Is it available and updated ? Whether the Mock Tests and other Tests can also be answered on-line from home or one has to visit your area institute for the same?